Would You Accept DNA From A Murderer? : 13.7: Cosmos And Culture Some people believe that the recipient of an organ transplant will take on characteristics of the organ donor. Commentator Tania Lombrozo considers what this reveals about the way we conceptualize ourselves and our bodies. Modern medicine and technology can change the way we define our physical and psychological selves. Is a prosthetic arm "your own arm" in the same sense that its biological predecessor seemed to be? Might taking antipsychotic medication fundamentally change your personality? Could an organ transplant from a pig, or from a violent murderer, somehow change who you are? Does it matter where it comes from if it helps you out? Understanding how people think about significant medical interventions not only has practical implications, it can also shed light on how people conceptualize themselves and their bodies. That's one reason psychologists have investigated how people think about organ transplants and their sources, with some intriguing results. But are people merely creeped out by the thought of having a murderer's heart (or wearing a morally-tainted sweater), or do they think that contact with these items will actually change who they are, their very essence? A new paper by Meredith Meyer, Sarah-Jane Leslie, Susan Gelman, and Sarah Stilwell, just published in the journal Cognitive Science, suggests some answers. The researchers had people indicate how they would feel about a heart transplant, a DNA transplant, or a blood transfusion from a donor who was like them (e.g., same age and gender, same sexual orientation, same background) or not like them (e.g., different gender or different sexual orientation), and also varied whether the hypothetical donor had positive characteristics (e.g., high IQ, well-known for philanthropy and charity work) or negative characteristics (e.g., convicted of violent murder, homeless). The data revealed that people preferred a donor similar to themselves, and that similarity to self mattered more than positive or negative characteristics. People also reported feeling less creeped out by the thought of receiving donations from those similar to themselves, without a significant effect for positive versus negative characteristics. But most interesting of all, some people believed that they would take on the characteristics of the donors, including their personality and behavior. For example, one participant justified resistance to the donor who was convicted of violent murder by explaining that "the cruel murderer's qualities will come to me." 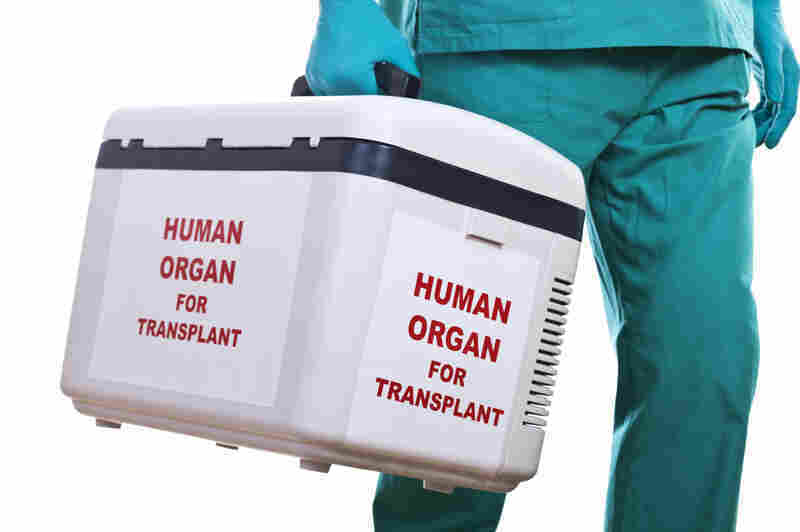 Could there be something to the idea that a transplant leads the recipient to acquire characteristics of the donor? In one famous example, transplant-recipient Claire Sylvia developed a taste for beer and Kentucky Fried Chicken after her transplant – both characteristics of the organ donor, not her former self. And a 2004 study of male heart recipients found that a full 34% (12 of 35) entertained the idea that they'd acquired characteristics of the organ donor after the transplant. Meyer and colleagues write that "there is no scientific model to account for why transplants might lead to transference of features," and that their findings instead reflect cognitive biases in how we conceptualize ourselves and our identities. In particular, they take their findings to support "psychological essentialism," the idea that people conceptualize some categories, such as biological species or their individual identities, as having the appearance and behaviors that they do as a consequence of some internal "essence" or force. When one individual's DNA is transferred to another, people may feel that their own essence has been compromised, and that the foreign essence will have causal consequence for appearance and behavior. There's a lot we still don't know about the causes of people's appearance and behavior, and about how significant medical interventions might lead to changes beyond the targets of intervention. But we can learn a lot about how we conceptualize ourselves and our bodies by considering experiences at the limits of scientific understanding, and judgments about medical interventions provide a unique opportunity to do so.